Although some trace the ancestry of today’s drones back to the V-1 rockets (‘doodle bugs’) of the Second World War, or even to the use of hot air balloons laden with explosives in the middle of the 19th Century, the real origins of today’s drones lie in the development of the first recoverable and reusable radio-controlled aircraft in the 1930s. The Royal Navy, looking for aircraft to shoot at for gunnery practice, developed out of the De Havilland Tiger Moth a remote-controlled aircraft dubbed ‘the Queen Bee’. Over 400 of these were built and used for target practice by the Royal Navy in the 1930’s and 1940’s. Similarly (and possibly from this aircraft although that is disputed) the US developed a radio-controlled drone for gunnery practice in the late-30s. After the Second World War, the US wanted to develop a new drone for air-to-air and ground-to-air target practice and the US company Teledyne-Ryan won the contract with its Firebee UAV. Used as a target drone from early sixties, the Firebee evolved slowly through various modifications until it began to be used solely for reconnaissance and intelligence gathering purposes. A model specifically developed for this purpose, named the Lightening Bug, was used in Vietnam and South Asia in the mid to late 1960s At the end of the Vietnam war 33 were given to Israel where they were used to undertake surveillance missions during the 1973 Yom Kippur War. The next generation of UAVs would be, as Bill Yenne author of Birds of Prey, a history of US drones, put it, the offspring not of the American initiatives of the 1960s, but of the Israeli initiatives of the 1980s. 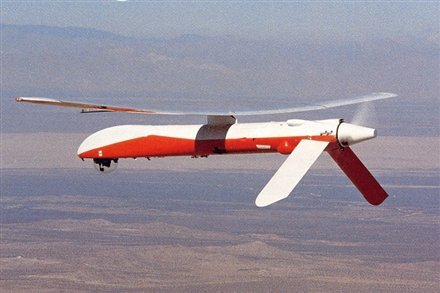 In the 1970’s and 1980’s, while the US lost interest in drones for intelligence gathering and surveillance purposes (preferring to invest time and money in satellites and hi-resolution imagining) Israel took the lead in drone development, building a number of different surveillance drones. Israeli sold several to the Pentagon, including a drone called the Pioneer which could be launched from a ship or from military base. The US quickly put the Pioneer to use during the First Gulf War where it was used in more than 300 missions. Enter into our brief history Israeli aerospace ‘maverick’ Abraham Karem said by many to be ‘the man who invented the Predator drone’. In 1974, aircraft engineer Karem, left Israeli military giant Israeli Aircraft Industries to set up his own UAV business. Having no luck selling his ideas to the Israeli military, Karem and his family emigrated to the US where he continued to work on his designs. 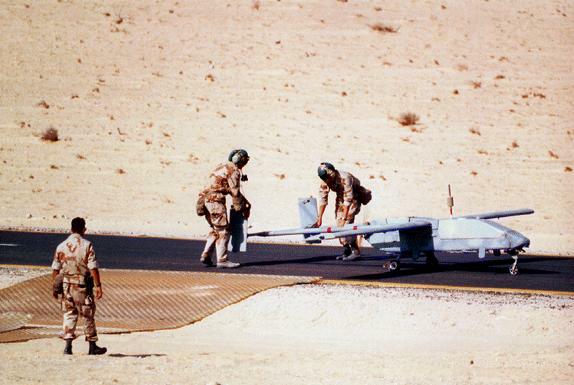 In the early eighties Karem demonstrated a UAV built in his garage to DARPA who funded flight tests and in 1985 signed a contract with Karem’s new company, Leading Systems to develop a larger endurance UAV called Amber. While Amber flew successfully, due to budget cuts funding for the project was axed. While Karem continued working – including developing a new, simpler UAV based on Amber called the Gnat 750 – financial pressure led to Karem and his company being bought out and eventually being swallowed in 1990 by General Atomics, owned by billionaires Neal and Linden Blue. In 1993 the Pentagon wanted to rapidly field a surveillance drone to support UN forces in the former Yugoslavia. The Gnat 750 was selected and by 1994 the first Gnat 750s were deployed to a CIA operating base in Albania for operations throughout the Balkans. Seeing the success of the Gnat, General Atomics developed a larger UAV, based on Gnat and incorporating satellite communications, named the Predator. This new drone had its first flight in June 1994 and was operationally deployed just a year later in support of the NATO air campaign against Bosnian Serb forces. In 1999 the Predators were again deployed over Kosovo as part of ‘Operation Allied Force’. While the drones were successful in locating targets, a key problem was that communicating the precise location of a target to an armed aircraft was taking time. The solution was to add a laser to the Predator thus enabling the drone operators to simply ‘light up’ a target with its laser which other armed aircraft could then ‘see’ and hit. The next logical step, according to General John Jumper, the then commander of USAF in Europe (and after 9/11 Air Force Chief of Staff) was to fit the drones themselves with armaments. Told this would take five years and cost $15m Jumper ordered it be done within 3 months at a total cost of $3m. A few weeks later, the first ‘live’ missile tests took place, with this time – and crucially – the signal to launch the missiles being sent from the trailer to the Predator drone via a satellite circulating the earth hundreds of miles up in space. Again the missiles ‘hit the target’ and the test was deemed a success. Although Air Force officials knew there was more work to be done – including crucially working out how to hit a moving target – they were convinced that their aim of developing a new anti-tank weapon was on track. Little did they know. 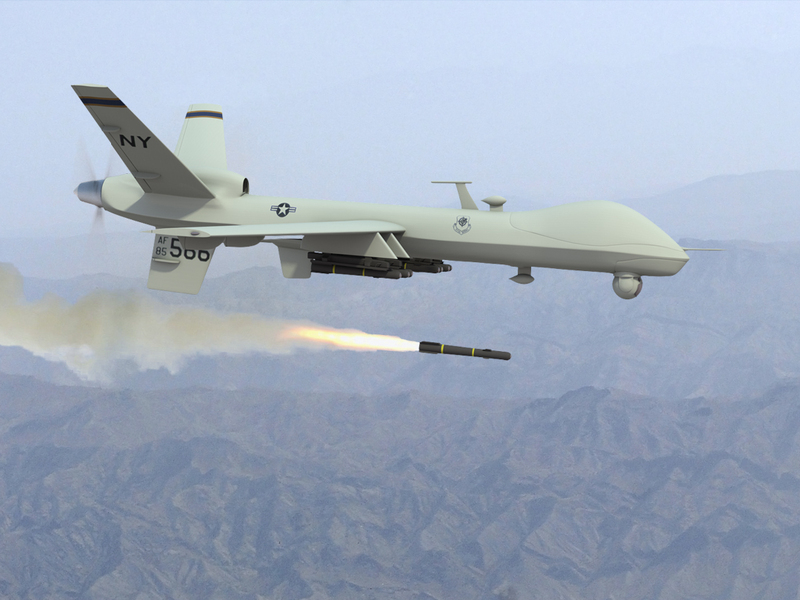 Armed Predator operational flights over Afghanistan began on 7 October 2001 with the first Predator drone strike taking place in early November 2001. Details of this first strike, like much that information about drone wars, is swathed in secrecy and confusion. Differing media reports name the target of the first strike as Mohammed Atef, dubbed the military chief of al-Qaida (who was killed along with 6 or 7 other men), Mullah Omar, or Mullah Akhund, the Taliban number three. ‘The warhead on the Hellfire missile was designed to penetrate the thick armor of a tank before detonating and it wasn’t working well against softer targets. Jumper says it would go through the target and blow up the dirt underneath. Two months after the war in Afghanistan began, the Air Force called Chuck Vessels at the Army’s Redstone Arsenal in Huntsville, Alabama, one of a handful of American engineers who designs and builds warheads. His nickname is “Boom Boom.” Vessels was faced with a tough problem: The Hellfire needed a new warhead, fast, so he didn’t have time to open up the missile and start from scratch. He created an exterior sleeve that would send out shards of the missile when it hit its targets. According to Pete Singer, in their first year of armed operations in Afghanistan, armed Predators “took out” some 115 targets on their own. It should be emphasized that both CIA and USAF operated the fleet of armed Predators over Afghanistan (although ‘fleets’ is perhaps a grand name for the small numbers in operation at this time). Many consider this attack to be the first targeted killing by the US using an armed drone – the first of many. From 2000/2001 unarmed US Predators had been flying surveillance missions over Iraq as part of Operation Southern Watch – the ‘no fly zone’ mission in Iraq after the 1991 Gulf War. At least three Predators were shot down by anti-aircraft fire and another was shot down when a Predator launched a Stinger air-to-air missile at an Iraqi MiG.In 2002 the US began using armed Predators for attack as well as reconnaissance in Iraq, targeting mobile air defence systems in the run up to the invasion on 20 March 2003. Two days after the invasion began, a Predator detected and destroyed a radar-guided anti-aircraft artillery site in southern Iraq, the first Predator strike of Operation Iraqi Freedom. Perhaps the most controversial use of armed drones began in June 2004 when the first publicly known US drone strike took place in Pakistan. Ironically, although drone strikes in Pakistan are carried out by the CIA (and until January 2012 were neither confirmed or denied ) there is much more media attention and information about these ‘covert’ drone strikes – due to the presence of local media – than there are about those that have taken place in Afghanistan and Iraq. Western media reports sometimes suggest that Pakistan is the centre of the drone wars – the reality is that at least three times as many drone strikes have occurred in Afghanistan than in Pakistan. Nevertheless, US drone strikes in Pakistan have been highly controversial as they are seen as a violation of international law. 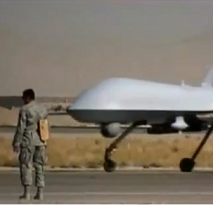 The UK began using their Reaper drones over Afghanistan in October 2007 with the first strike taking place at the end of May 2008. RAF pilots had been operating US armed Predator drones over Iraq since 2004 as part of a USAF/RAF Combined Joint Predator Task Force (CJPTF). According to the Ministry of Defence the first armed attack undertaken by an RAF pilot assigned to this unit took place in late 2004, striking insurgents near the Iraqi town of Najaf. 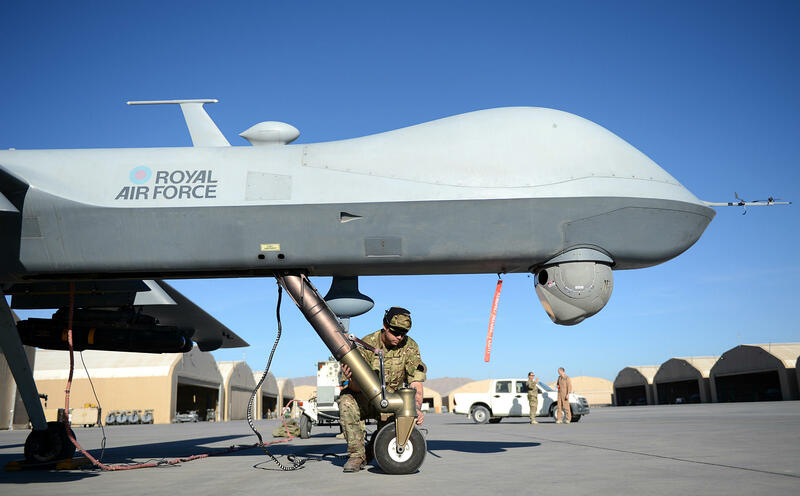 These joint operations had contributed towards the UK deciding to acquire its own armed UAV capability. After a UK Reaper crashed in April 2008, additional Reapers were purchased bringing the number of Reapers owned first up to five and then in July 2014 to ten. 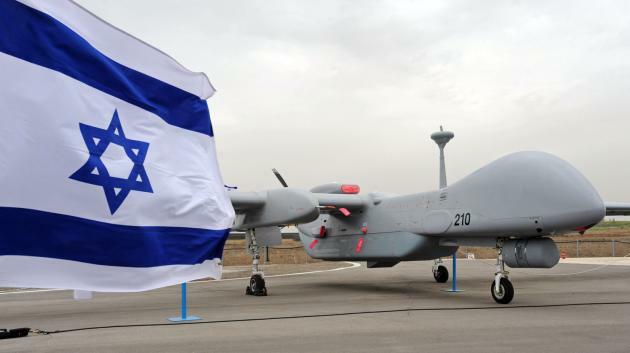 While at the time of writing only the US, the UK and Israel are known to have used armed drones in military operations, this is likely to change soon. Italy and France for example, began operating unarmed Reaper drones in 2011 and 2013 and are likely to begin armed operations in the near future. Many other countries are now using large and small drones for military reconnaissance and intelligence purposes and are likely to acquire or develop armed capability in the near future. While having only a relatively short history, armed drones it seems have a big future. Further reading: What’s wrong with drones? Text copyright © Chris Cole, Drone Wars UK. Images maybe subject to copyright. September 2014. Free to re-produce with attribution. For more on the early development of drones see Dr Christina Goulter, ‘The Development of UAV’s and UCAV’s: The Early Years’, in Owen Barnes (Ed. 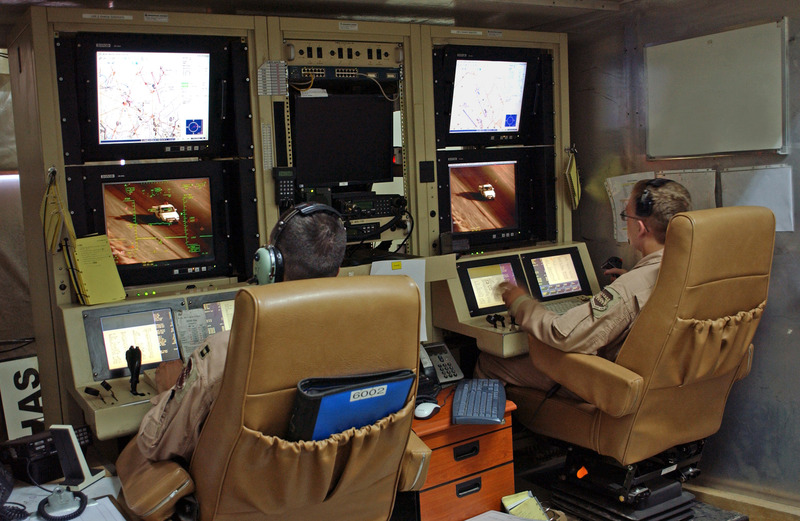 ), Air Power – UAVs: The Wider Context, RAF Directorate of Doctrine Studies, 2009. Michael Hastings, The Rise of the Killer Drones: How America Goes to War in Secret, Rolling Stone, 16.04.2012. David Kohn, The Predator: The Most Valuable Weapon In The American Arsenal?, CBS News, 07.01.2003. Sue Baker, Predator Missile Launch Test Totally Successful, Ai Force News Service, 27.02.01. Tenet statement. Note non armed surveillance missions had been taking place over Afghanistan since 2000.